We went to Cleveland today to celebrate my daughter’s birthday. We ate at the Winking Lizard before the game. The Winking Lizard and it’s large beer selection was my part of the celebration. 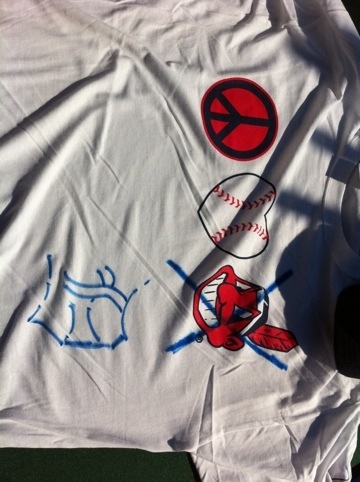 When we got to the game we learned the Indian promotion was peace, love, racism shirts. I repaired mine a little. I also caught a batting practice ball on one hop for Sasha while we waited in right field for Cleveland to allow fans full access to the stadium. Gate C opens as 4:30. The rest of the stadium opens at 6:00. Also, before the game we played the Cleveland spin-to-win game. 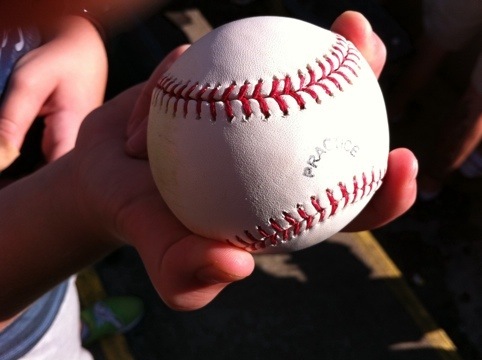 You can play this in left field near the bleachers. 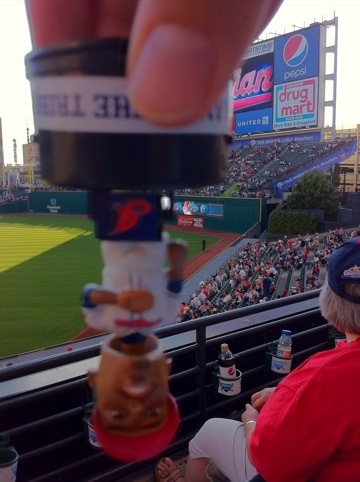 We won Fausto Carmona mini-bobbleheads. As he was the starting pitcher we used them to jinx Carmona. It worked as he gave up four early runs. Verlander gave up 3 runs. From the terrace in right field it didn’t seem like he could locate his curveball. In fact two of his walks scored in the third inning. Despite not having this pitch Verlander went 7 innings and struck out 10. 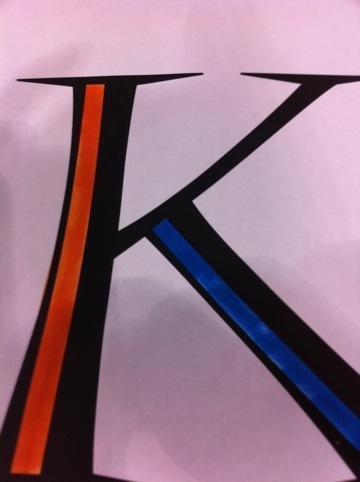 This was Verlander’s 100th career win. Benoit and Valverde had clean innings. Valverde now has the record for consecutive saves converted for a Tiger. Parking was strangely difficult at 4 PM. We ended up in the ramp by the stadium. As I feared it was tough to get out given the limited exits. 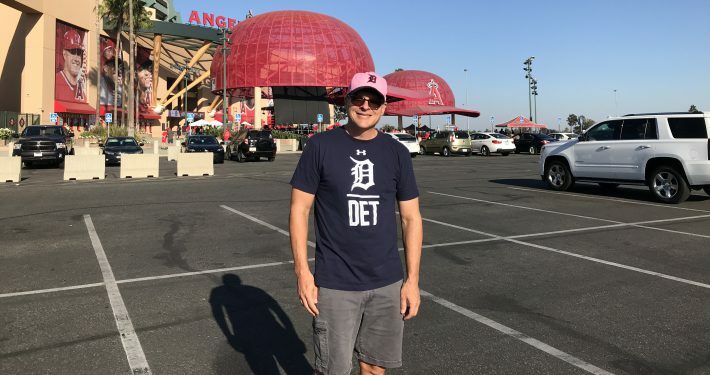 It wasn’t as bad as Joe Louis Arena parking though. And one group of people who did not understand turn-taking probably understands it better. You are welcome, greater Cleveland area.